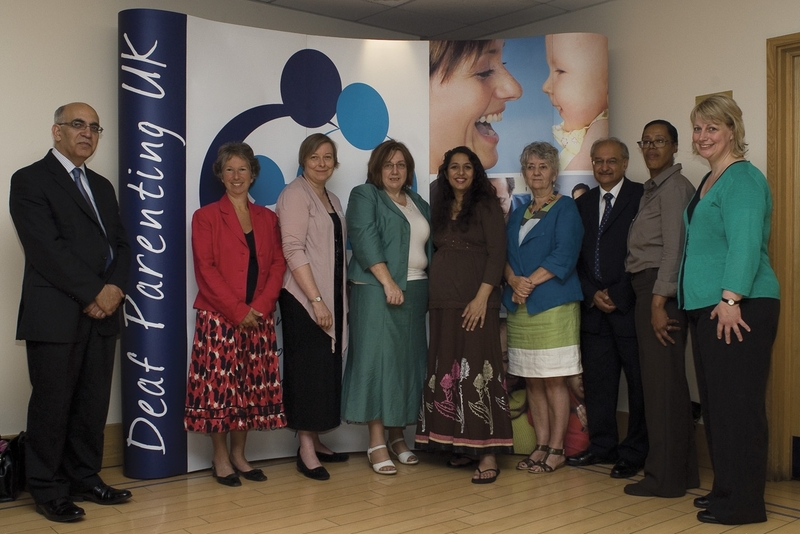 Deaf Parenting UK (DPUK) > News > News > DPUK Conference 2010: Huge success! DPUK Conference 2010: Huge success! 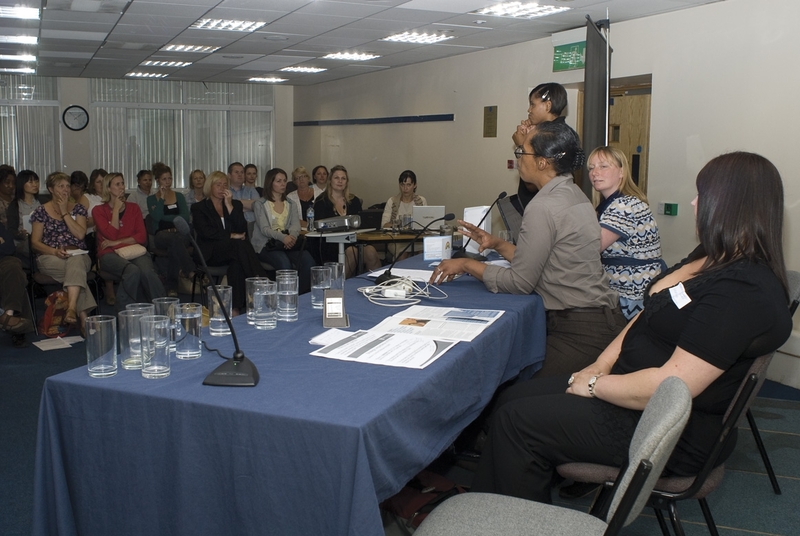 Deaf Parenting UK Conference 2010 was held on Wednesday 7th June 2010 in London and attended by mostly Deaf parents and professional/ service providers working with Deaf parents, co-chaired by Professor Waqar Ahmed and Dr Lesley Jones, both well-known in the research field of Deafness & Ethnicity. 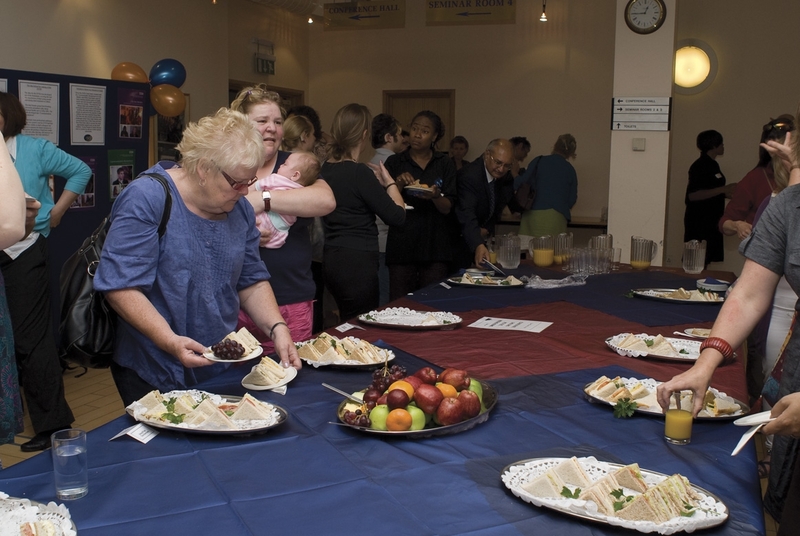 We also had a range of speakers – Anne Bristow from Association of Director of Adult Social Services (ADASS); Surinder Sharma, Department of Health (Equality & Human Right Unit) and Professor Alys Young from Manchester University; two local Deaf parents/ families on their personal experiences/ perspective, as well as two workshops, one from Child Health programme Unit of Dept of Health jointly with the Family Nursing Partnership programme; and National Association of Family Information Services, who gave presentations on the theme: ‘Are We Equal? in accessing to Health, Social Services and Children’s Education’, of which many Deaf Parents experienced numerous of barriers. The theme of the conference on ‘Are We Equal?’ have touched the core issues in many Deaf parents and bringing them from across UK aswell as USA. As we all know, the support for all Deaf Parents are vital for Deaf Parenting UK so all Deaf parents and parents to be know that they are not alone in their experiences/ difficulty in accessing to information about their rights and parenting services. 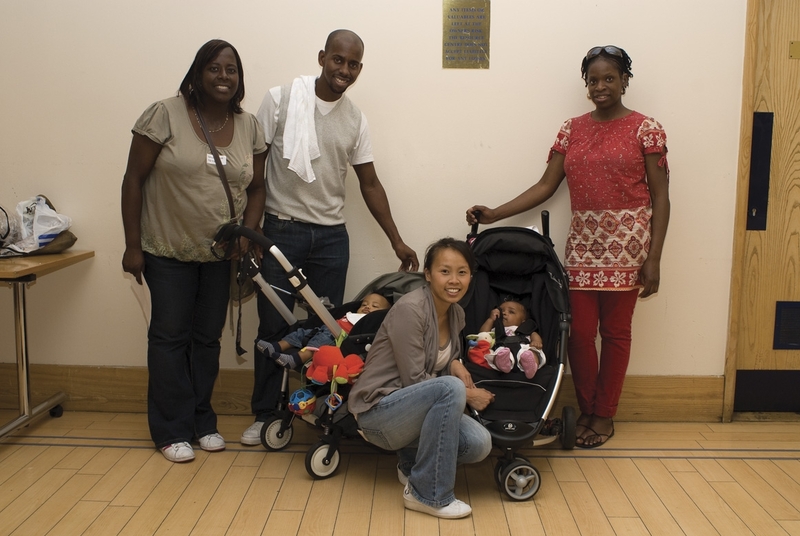 Health – accessing to health services for Deaf parents’ own health aswell as their children’s health. This ranges from maternity care, children’s health and women / men’s health. Education – accessing to nurseries, primary and secondary school. Access to Health, Social Services and children’s education is vital for many Deaf parents but are Deaf parents equal? Deaf parents to be informed about their rights and entitlements. In Anne Bristow’s presentation on access to social services for Deaf parents including personalisation, she explained and challenged how Deaf parents can access to personal budget to gain independent and control of their daily lives. Eg, Deaf parents could use Personal budget to purchase parenting support/ workshops and even set up parent support group to gain confidence in their parenting skills and peer support that they needs. Other suggestion is perhaps to buy interpreter support for parents evening if the traditional route prove to be too time-consuming for many Deaf parents arguing with nursery/schools on who should pay for interpreters. In Professor Alys Young’s presentation, she highlighted the lack of social services support for Deaf adults and children especially if there is no specialist Sensory/ Deaf services team in place. Her research also shows that more than half of local authorities in UK do recognise children of Deaf parents are ‘children in needs’ and support them accordingly however some other local authorities have certain criteria eg if children of Deaf parents are seen as ‘young carers’ or depend on their family situation before they can be classified as ‘children in needs’. The conference calls for all children of Deaf parents to be seen as ‘children in need’, therefore should be supported with appropriate resources to meet the children and Deaf parents’ needs. 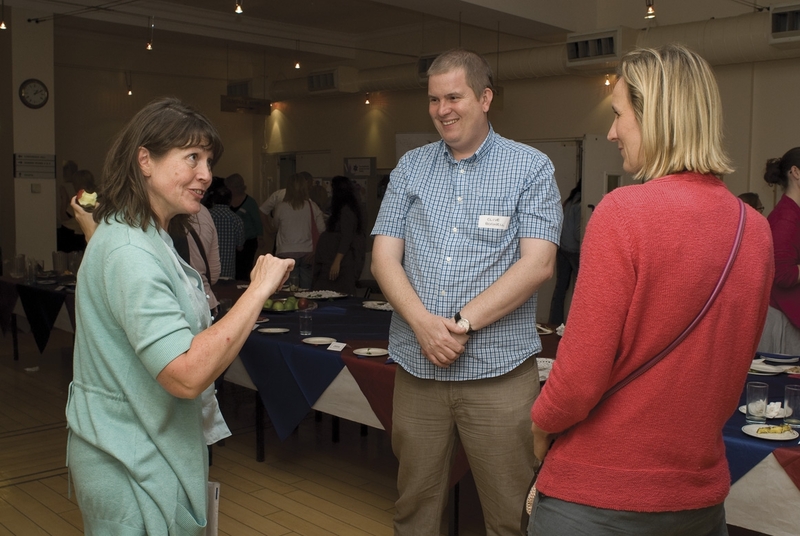 Feedback from Deaf parents and professionals have found the conference useful and such eye-opener on the presenting issues and gave them the motivation and drive to do something about it especially the gaps in their local area. 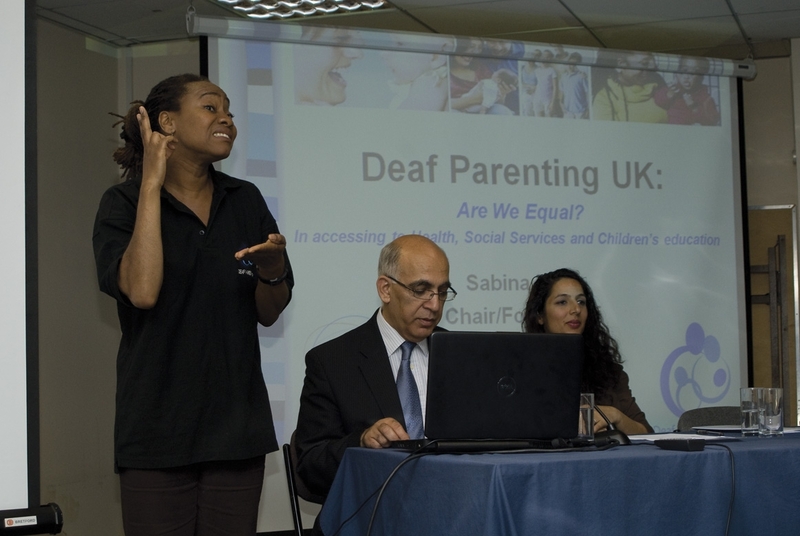 Sabina Iqbal, Chair/Founder of Deaf Parenting UK: “The conference is an excellent opportunity for Deaf parents to share their concerns regarding accessing to Health, Social Services and their children’s education. Human Right Act emphasised that every parent have the right to enjoy family life. Furthermore, Government’s policies: Every Parents Matter and PEAL confirmed that every parent have the right to be involved in decision making of their children’s educational future but how can they if they are unable to access to information and choices? Furthermore with the Government’s Personalisation Agenda, enabling deaf/ disabled people (including those who are parents) to have more independent and control on their lives but how can they have control if they don’t have access to information/ resources to make it happen? Anne Bristow, the Joint-Chair of the Association of Directors of Adult Social Services Physical Disabilities Network/ HIV/ and Sensory Network: “This was a vibrant event where deaf parents shared their experience and challenged all professionals to design the services that will give them equal access. They deserve our support”.